Home / Health Articles / Lifestyle Care Continuum / What Happens When You Stop? What Happens When You Stop? Outwardly, this is obvious to us. Bodybuilders are easily recognized, as are yogis and other athletes. Even when we observe those who meticulously groom themselves or those who decline to subscribe to grooming standards, there is a “lifestyle” and values associated with the behavior. We are creatures of habit, as they say, and what we choose on a daily basis affects our long-term outcomes, even if the effects aren’t as outwardly apparent. Continual chiropractic adjustments have already been shown many times to increase health due to the ability to increase positive neuroplasticity.1 “In the past ten years, researchers have objectively demonstrated that spinal adjustments can change aspects of nervous system function including muscle reflexes, reaction time and the speed at which the brain processes information.” Chiropractic Lifestyle Care ensures your body’s potential to experience your longevity with a nerve system that is continually optimized. 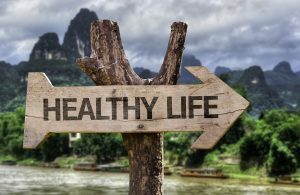 Across all health platforms, research has continually supported the importance of lifestyles and habits that foster health, instead of those that foster inactivity, disease and negative neuroplasticity, loss of brain function.2,3 When it comes to exercise, research published in the journal Frontier in Aging Neuroscience revealed that endurance runners who skipped workouts for 10 days had reductions in blood flow to their brain.4 Just like we cannot expect to eat healthy for one week and expect those effects to last a lifetime, we cannot expect to receive chiropractic care for a few visits or a couple of weeks and expect our nervous system to be optimized for the rest of our lives, especially in the high-stress world we live in today. Instead of allowing the nervous system to stagnate, lose speed and function, utilize chiropractic Lifestyle Care to keep your spine and nervous system well adjusted. You will enjoy the benefits of the care today and you will appreciate them even more as you age. 2. Schuster, Tonya et al. Wellness Lifestyles I: A Theoretical Framework Linking Wellness, Health Lifestyles, and Complementary and Alternative Medicine. The Journal of Alternative and Complementary Medicine 2004. Vol. 10, No. 2; pg 349-356. 3. Vance, David E. et al. Neuropsychology and Cognitive Health in Healthy Older Adults. Journal of Psychosocial Nursing and Mental Health Services 2012. Vol. 50, No. 6; pg 30-37.